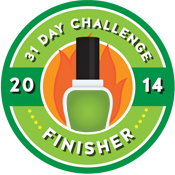 It's the greenest day of the year and that makes me very happy! Not so long ago my favourite thing about St Patrick's Day was the copious amounts of alcohol involved, but these days I'm a (slightly) more responsible adult, so green nails seemed like the way to go. 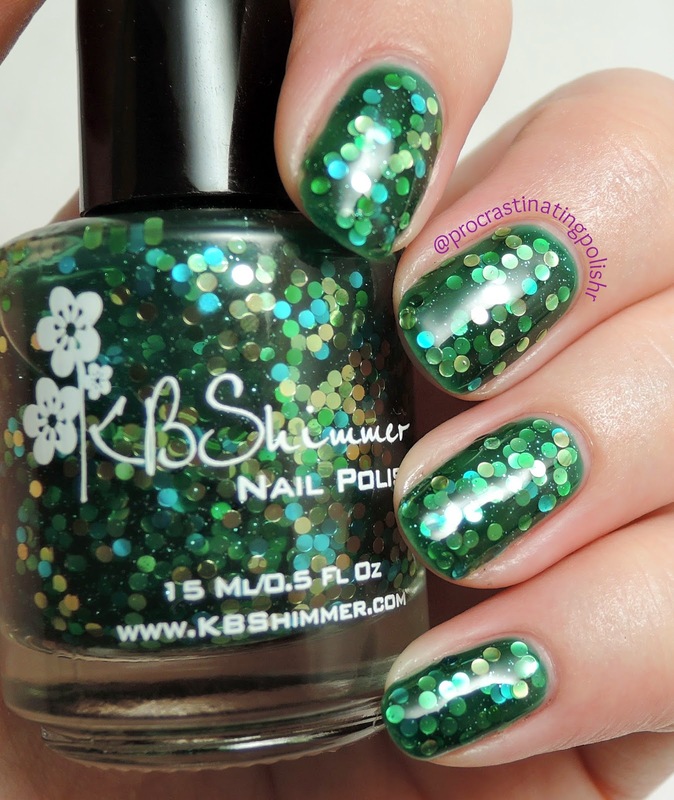 I even had the most appropriate polish sitting in Mount Untried - KB Shimmer's Get Clover It. Would you believe this is my first KB Shimmer?? Not even as in "I bought this two years ago" first - I only got it recently in a blog sale. For shame. I think with a lot of international indies I get a bit of selective brand blindness - I know they exist and have very good reputations, but I just have to put the blinkers on because exchange rates/shipping/other local releases get in my way. 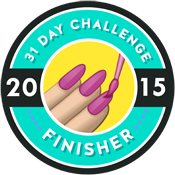 If this polish is anything to go by it could be the start of an(other) addiction. I did 2 dabbed coats of the rich emerald jelly which gave a reasonable opacity - still some VNL going on but not enough to bother me. The blue, green and gold glitters were eager to get on the nail and smoothed out beautifully under a good thick top coat. 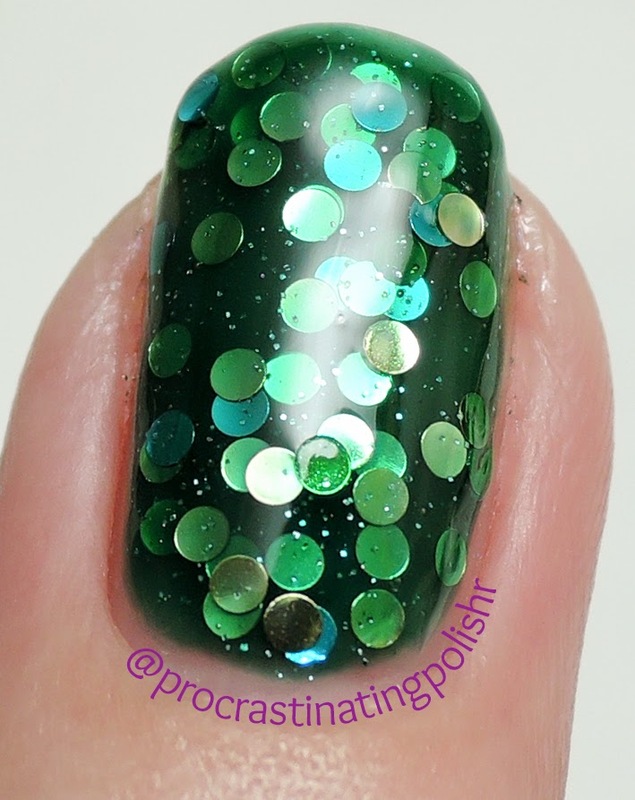 I adore circle glitters, I adore green - this polish could have been made for me! Very keen to get my hands on some more KB Shimmer after my several years of brand blindness.